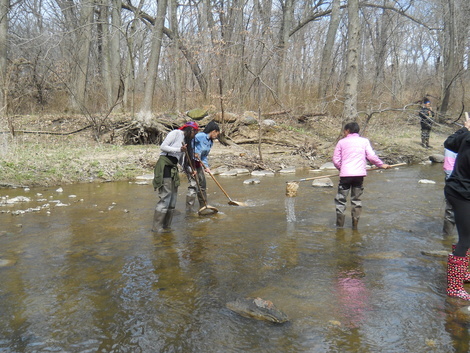 For the students at Young Women's Leadership Charter School, up a creek was a good place to be. The river is a dynamic source of real-world information to teach about water, science, history and culture in the classroom. 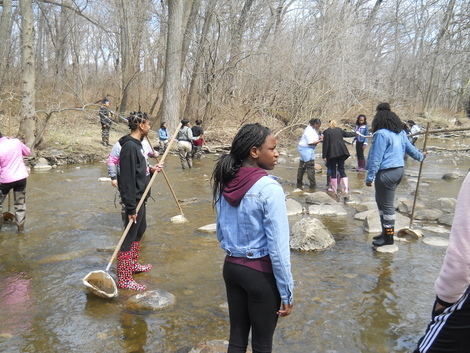 It is also an excellent tool for hands-on scientific experimentation, water quality monitoring, art/writing projects, and ecological restoration for students of all ages. 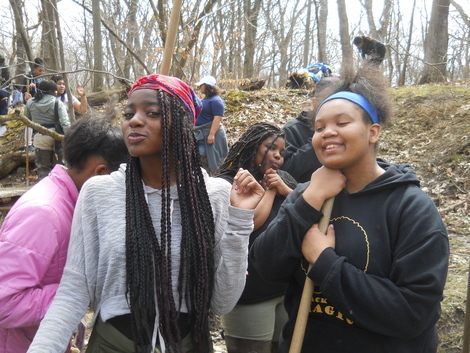 The Young Women's Leadership Charter School offers a college prep, Sciencem Technology, Engineering and Math-based curriculum "that allows them to engage in relevant, meaningful activities that will challenge them to excel." Its focus, the school says, on math, science and technology "nurtures [students'] self-confidence and challenges them to achieve." Is your school interested in learning more about the Chicago River? Friends offers all kinds of training and will even lead field trips like the one the students from Young Women's Leadership went on. For more info on our Chicago River Schools Network, click here.